As noted in our introductory post, International TMAU Testing in Canada : Special Group Rate," this program's primary aim is to systematically provide testing as affordably as possible to all sufferers throughout the world, most of whom currently do not have any testing opportunities whatsoever." By doing so, we can also obtain data from those who voluntarily opt to take a brief survey (not required to do so in order to test) that may be used in future research into body odor conditions. If people from many countries who have different lifestyles and diets participate in this program, we will obtain valuable information about the variations in TMAU sufferers of different cultures, as well as those who test negative for TMAU. Since Eliapharma is located in Canada and MEBO Research, Inc. is based in Miami, FL, US, we are making the necessary arrangements to test anyone from either of these two countries, while we also focus on working with Customs Agencies of Mexico, Colombia, and Argentina as a starting point. Once this service is up and running, we will then move on to other countries that don't have labs to test for TMAU. In order to comply with all the shipping laws of the two governments' involved with each shipment, much preparation and documentation must be arranged in advance. Since the kits shipped from Eliapharma in Canada will include two bottles of 4mL hydrochloric acid (HCl), special handling preparations and the proper documentation must be ensured in advance by MEBO in order to comply with each country's requirements. In addition, since the specimens returned to Eliapharma consist of body fluids, even more protocols need to be adhered to in order to comply with each government's laws and guidelines. What seems to be a very simple process is actually a monumental task when crossing international lines. 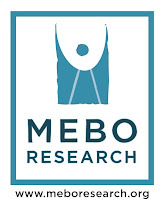 Nonetheless, MeBO is a proactive patient advocacy group, and no trouble is too much trouble that would deter us from ensuring to the best of our ability that all sufferers from around the world have access to TMAU testing. We are most grateful to FedEx for offering the complementary services of one of their customer service trainers to show us how to work through the vast sea of codes and international laws and regulations using their very comprehensive program, FedEx Global Trader Manager Demo. It is MeBO's intentions that most of the documentation be done by MeBO in advance so that the person testing would only have to be concerned with following the enclosed choline/TMA load instructions, collecting the 2 specimens, adding the enclosed HCl to each specimen, freezing them along with the ice packs, and putting them in the original box to ship them back to Eliapharma with the prepaid postage and fully completed international documentation. It's as simple as that, VOILÀ! We will not turn down anyone wishing to test if it is within our power, so no matter what country you are in, please send an email expressing your interest to tmautest@meboresearch.org with no obligation to participate. PLEASE NOTE WHAT COUNTRY YOU'RE IN ON THE EMAIL. Once we receive the negotiated shipping rate information from FedEx, we will contact you.